Work hands-on with elephants, giving them lots of care. You'll work very hands-on with 12 elephants, but you'll be surrounded by up to 200 elephants. You'll work with 12 elephants, but you'll be surrounded by up to 200 elephants! The experience of being in the middle of such a huge number of these majestic creatures is awesome ... breath-taking ... there are no words to describe it! Each day that you are on this project supporting the elephants means that the elephants have a day free of chains - and a brighter future. By being there, looking after it, caring for it, bathing it in the river and taking it out on walks, you have an enormous effect on the elephant's daily quality of life. You'll also help plant food for the elephants and work on various other projects that directly help the elephants. There are over 300 elephants registered in the Surin province and the vast majority of them are trapped in the unfortunate trade of street begging ... and street begging reduces an elephant’s life expectancy by at least 50%. 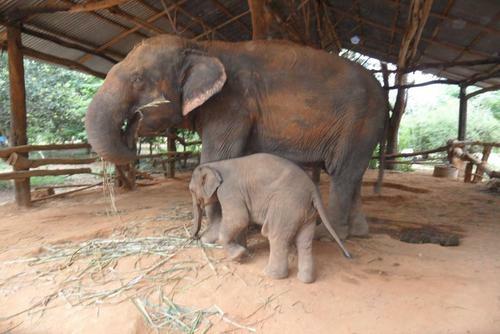 This project is helping to develop a sustainable elephant centre. 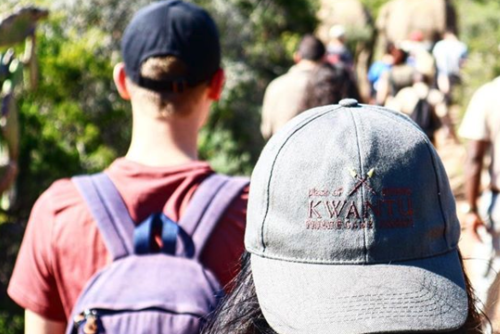 With your support, the goal is to establish sustainably managed alternatives to both street begging and to other forms of tourism, such as circuses and elephant rides. Your normal daily routine will start with walking to the work site - which is surrounded by hundreds of elephants! An awesome start to the day. During your work, elephants will be allowed to freely interact socially and you'll participate in basic elephant care. 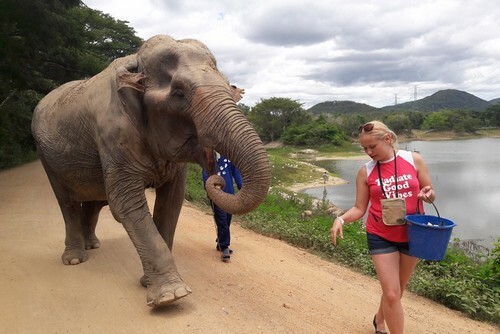 · You'll normally help to take the elephants out on walks with the mahouts about twice a day across the local rice fields and forests. 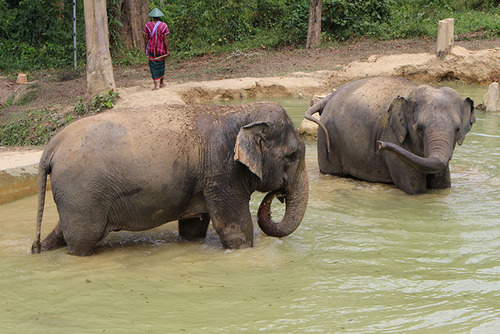 · The elephants love the water so you will normally take the elephants down to the local reservoir for clean up. 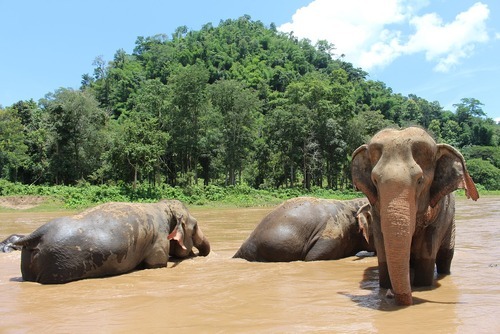 This is not only great fun, the elephants love it too! 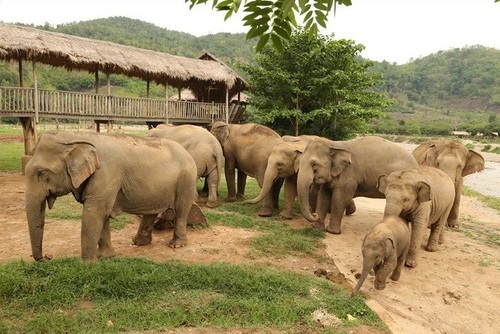 · You'll be helping to build a new Elephant Center. 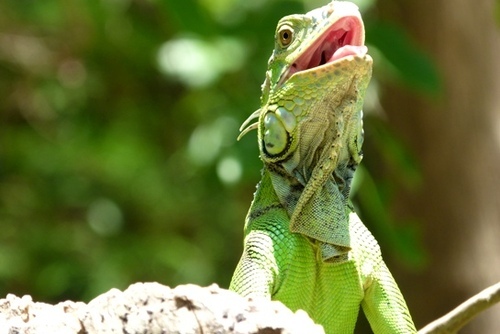 There is a lot of diverse work involved in this, including helping to restore the natural habitat that has been destroyed by over-logging. 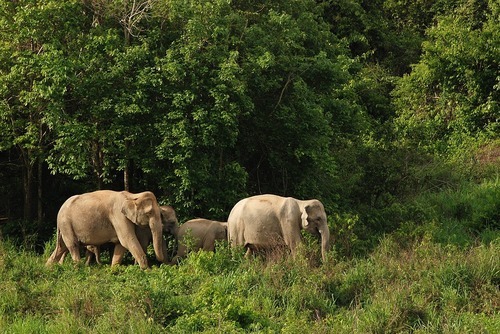 Thus, you'll also help by planting grass and other vegetation that helps to feed the elephants. · You'll be asked to take on some community development work, not only to help strengthen ties within the local community but also to learn from them in the process. 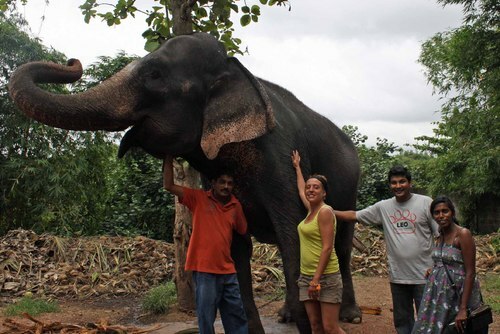 · Other duties could involve helping to cut the grass and preparing other elephant foods, as well as actually feeding the elephants. 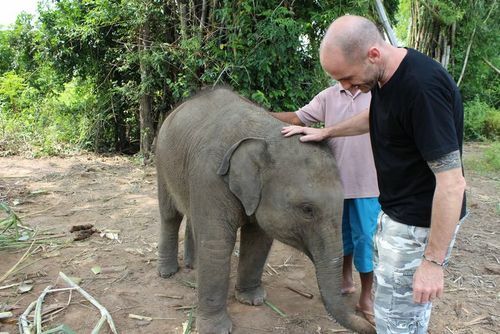 For anyone wanting to be surrounded by elephants this truly couldn't be a better project. You'll live on the site in wooden huts surrounded by elephants. One volunteer said that one of the elephants managed to get her trunk through the window and stole her hand cream (Coconut flavour!) You'll live in home-stay accommodation within the centre and you'll usually be sharing your accommodation with another volunteer. Shared bathrooms with Western style toilets and Thai style bucket showers, but no hot water. Volunteers will share 2 to a room or have their own room depending on availability, but each room is equipped with mosquito nets and a fan. Accommodation is basic by most Western standards, but this is Thailand and you'll be expected to be open-minded and adapt as much as possible to village life. Food is provided on this project. Costs vary depending on length of placement, but starts at £695 for one week. You may be able to participate for up to one year, subject to visa requirements.